The gold market is highly liquid. 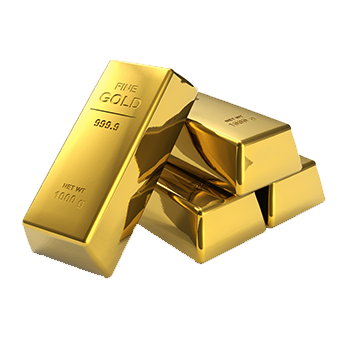 Gold is held by central banks and other major institutions and as retail jewellery is reinvested in the market. As the stock of gold outweighs its demand, the main driver of the real price of gold is stock equilibrium rather than flow equilibrium. Ÿ stands as an effective diversifier even during financial instability as Gold has low or negative long-period correlation with other asset classes. In India, Gold has been the oldest saving instrument and store of wealth for thousands of years as savers can save in gold in small quantities, and in times of need, can divide into smaller pieces and sell in a ready market. This is made possible as Gold is a highly malleable metal. Indian scriptures are filled with allusion to gold possession as a sign of wealth and there are Hindu gods/goddesses linked with provision of gold. Gold’s economic security interprets into its high social and religious value. Holding of the asset is itself a claim to its ownership. There is very meager paper-work in transferring gold’s ownership. When a bride receives gold as ‘Streedhan’ at the time of her wedding is a source of financial security to her as it remains directly under her control. Gold would emerge as the de facto currency during unusual situations like wars, when the value of currency was under suspect throughout the history. Under the Gold Monetization scheme, the fame of Gold for financial instruments like sovereign gold bonds, gold loans, bonds reflected in form of savings and wealth.